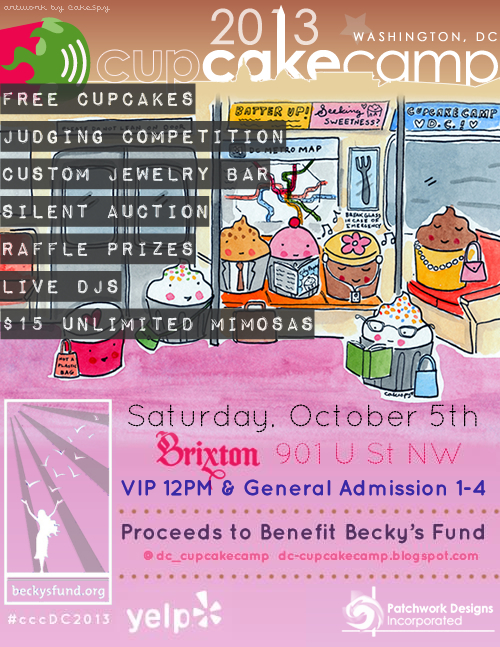 Bakers in the DMV (District of Columbia, Maryland and Virginia), there is a Cupcake Camp on October 5th that is also a fundraiser for Becky's Fund. Becky's Fund helps survivors of domestic violence. They need cupcake bakers for the cupcake eaters! Register here on the Eventbrite.